If you’re looking for a new vehicle that caters to your growing family than an SUV is seemingly the perfect choice. Well, if you’re subsequently searching for the top SUV in the industry, then there’s no better choice than the 2017 Mazda CX-5. As you’re about to learn, the vehicle provides all of the amenities and capabilities that a buyer could possibly want from their new vehicle. Once you understand that this is the perfect SUV for you, it’ll be time to start shopping. Well, as you’re also about to learn, there’s no better place to purchase that vehicle than from DePaula Mazda. 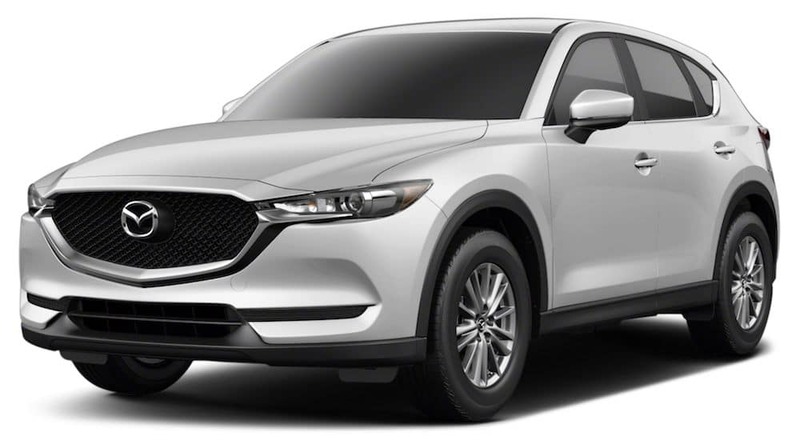 The dealership essentially promises the ideal buying experience, so you won’t have to deal with any hassles as you’re shopping for your 2017 Mazda CX-5. Of course, since the vehicle is classified as an SUV, drivers should expect to be able to store and transport any-size cargo. Drivers will automatically have access to an impressive 30.9-cubic-feet of space behind the third row, and they can unlock up to 59.6-cubic-feet of space when the rear seats are hidden. If drivers truly want to customize their interior, they can use the 40/20/40 split one-touch fold-down and reclining rear seatbacks to fit any combination of cargo and passengers. Meanwhile, the operator and co-pilot will certainly appreciate the inclusion of the Heated Front Seats, which will allow them to escape the cold on those winter mornings. The cabin has also been specifically designed to provide the driver with optimal convenience, as all of the necessary amenities are located right within their grasp. The 2017 Mazda CX-5 is equipped with a number of technological amenities that will deliver optimal entertainment and safety. In other words, these various inclusions will play a big role in the SUV providing drivers with the ideal driving experience. The interior is highlighted by the MAZDA Connect Infotainment System, which provides access to a number of notable applications via the accompanying touchscreen unit. If the driver wants to listen to their favorite tunes via Pandora, Aha, Stitcher, or any other available radio application, they can enjoy a superb listening experience via the four-speaker sound system. The unit also contains Bluetooth compatibility, meaning you’ll have no issues connecting your smartphone. Meanwhile, the array of safety functions are intended to keep the driver and their vehicle out of harm’s way. Inclusions like the Dynamic Stability Control and Traction Control System will assure that the driver will have complete control over their SUV at all times, while the Smart Brake Support is intended to help lessen or avoid an imminent collision (after altering the driver of the impending danger). In the event of an accident, owners can easily rely on the extensive airbag unit, as well as the side-impact door beams. Engineers even included the LATCH child-safety-seat anchors, which will keep your younger occupants more secure. Consumers might not necessarily expect either power or fuel efficiency from an SUV. However, as you’re slowly starting to learn, the 2017 Mazda CX-5 isn’t your typical SUV. The accompanying system is one of the most impressive offerings in the entire class, delivering an impressive 187 horsepower and 185 pound-feet of torque via the SKYACTIV-G 2.5-liter four-cylinder engine. These specs lead to a respectable 2,000-pound towing capacity, meaning your new CX-5 will serve as more than a generic commuter. Of course, the most impressive attribute is the incredible fuel efficiency. Thanks to inclusions like Direction Injection, Variable Valve Timing, and electronic ignition, owners can ultimately anticipate an incredible 31 miles per gallon on the highway when the vehicle is equipped with front-wheel drive automatic transmission (29 miles per gallon with the all-wheel-drive configuration). Engineers did an admirable job of including a number of mechanical amenities that should make the vehicle incredibly easy to handle. The SKYACTIV-Drive six-speed automatic transmission provides one of the smoothest rides in the class, and the accompanying Sports Mode will adapt your vehicle to any type of road conditions. Meanwhile, the four-wheel independent suspension reduces weight (which vicariously boosts performance), while the four-wheel disc brakes will provide you with the necessary amount of stoppage power. Now that you’ve determined that the 2017 Mazda CX-5 is the perfect option, it’s time to start shopping. 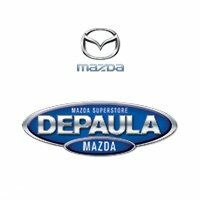 Well, for those living in the Albany, New York area, there’s no better place to make that purchase than from DePaula Mazda. The dealership’s convenient hours means you’ll never have to inconvenience yourself in order to visit the premises, and their various services will lead to an ideal buying experience. Plus, their vast inventory means your options will never be limited, although we’d assume you’re already pretty focused on the Mazda CX-5. DePaula does so much more than sell vehicles. Rather, the dealership provides a number of services that can help customers prior to, during, and following their purchase. For starters, the finance department is focused on finding a payment plan that works for both sides. Assuming your credit is in solid standing, you can even secure financing from the business, meaning you won’t have to look elsewhere for this line of money. Meanwhile, the service department is focused on assuring that your Mazda CX-5 is always performing to the best of its abilities. The expert technicians can handle any repairs or maintenance, so you won’t have to turn to an untrustworthy mechanic when your SUV runs into any issues. The car-buying process can be a hassle, but DePaula wants to make the entire ordeal as easy as possible for their customers. That’s why the business has such flexible hours, meaning customers won’t have to shift around their entire schedule in order to visit the premises. The sales department is open from 8:30 am until 8:00 pm on Monday through Thursday, and they’re open until 6:00 pm on Friday and Saturday. The service department and parts department are also open six days a week. Best of all, the dealership is incredibly easy to find. Located right off I-90, customers won’t have to drive around aimlessly as they’re trying to locate DePaula Mazda. While you’ve surely zeroed in on the Mazda CX-5, you might want to keep your options open. Well, that will be a possibility when you visit DePaula Mazda, as the dealership is housing a number of vehicles. The business’s inventory consists of more than 200 news cars and 100 used cars, providing prospective buyers with plenty of options. Therefore, regardless of what type of vehicle you’re pursuing, you’ll undoubtedly find the proper fit sitting on DePaula’s lot.